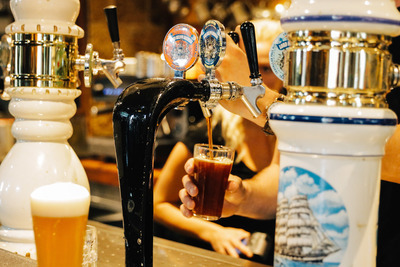 Sample some of Australia’s finest ales and lagers on a walking tour around The Rocks. The Rocks is a timeless area of Sydney's city centre, with cobbled streets and stories on every corner. As well as beautiful buildings, a bustling market, and the Harbour Bridge in sight, The Rocks is well known for its historic pubs. 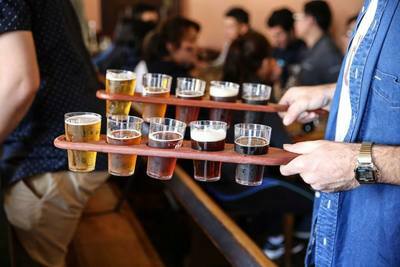 This tour will introduce guests to five of Australia’s oldest pubs, each one with its own fascinating history. You’ll also learn about the history of beer in old Sydney town and a tale or two about Australia's first brewer, of convict heritage. 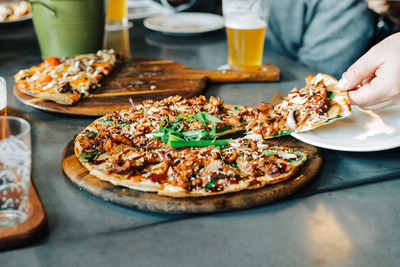 In addition to one free brew included with your ticket, there will be opportunities to purchase beer samples (some are award-winning), including a tasting paddle of different featured beers. Some discounts on beer purchases will be offered, and sharing plates of food will be provided as part of the ticket price at most venues. There will be some walking involved on the day, so please wear comfortable shoes and bring an umbrella if the weather calls for it. All participants must be over 18 years of age. The Rocks is a 5 minute walk from Circular Quay train station. It was fantastic. Dave gave us a great tour around the history of all the pubs we visited. I'll definitely do the same tour again. This tour was amazing fun! The history was so interesting and I visited pubs that I never knew existed in Sydney. Dave was amazing, such a nice guy and had great recommendations. The tour was great. 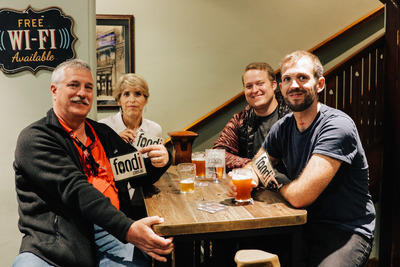 A fantastic way for my mates and I to see Sydney, hear a bit of history and drink :)... Karyn is amazing and she needs to be commended for her wonderful interpersonal skills, knowledge and her timing of the event. Karyn made the tour!!! Thank you Karyn. 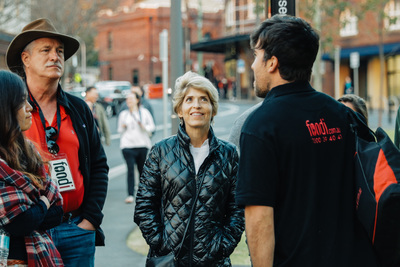 This has been one of the best Foodie tours I have been on since visiting Australia The Guide was very knowledgeable. The whole event was just brilliant. Had a great time, and David really loves his job. Karyn was a fantastic guide, so knowledgeable, but also made everyone relax and feel at ease immediately, so we had loads of fun. The food and drinks and service was outstanding. Would highly recommend this tour. Such a fun family day out. Karyn our guide was excellent really made it such an interesting and informative tour and was so enthusiastic when telling us about the different places. Defniately looking at doing some of the other tours on offer. A really interesting mix of pubs, with a great beer focussed history of The Rocks. Would recommend as a fun, social afternoon out. We really enjoyed the tour. Great pubs and really interesting history of the area provided by Dave, the guide. Great history talks from a passionate historical story teller containing entertaining and little known facts. Pubs, beer and food were good too. David made the tour fun, relaxing and very interesting. Our like minded companions were great company too! We didn’t the craft beer tour with David on 7 July and it was a great day. 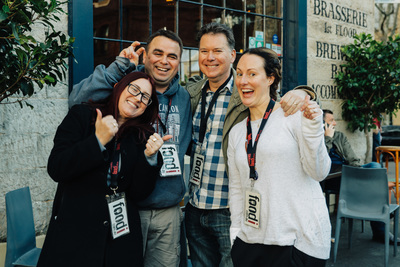 David was not only knoehablw about the craft beers and the venues but had a wealth of knowledge about Australian history which he shared. It was a fun day & we had the opportunity to enjoy ourselves at each location with no pressure to rush around. Would definitely recommend this. Karren was a great host, very knowledgeable and made the tour great fun. 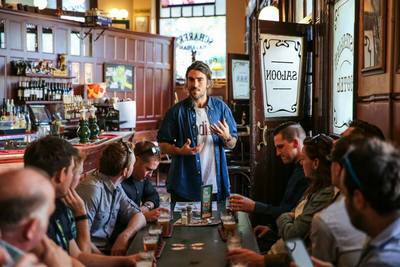 I would recommend this tour to anyone who would like to know the history of pubs in the rocks. Great tour, learnt so much. Our guide Karyn was incredible and made the afternoon for us! Has got me thinking, I might live in Sydney, but these tours open your eyes to new places, sites and history! The walking tour was very interesting and Karyn made everyone feel very welcome at the start. She also engaged with everyone during the tour and said goodbye at the end. I enjoyed the selection of pubs we attended and how it was set up for us upon entry. The history and back stories were interesting and informative. Our tour guide added to the enjoyment of the day. Nice pleasant way to spend the arvo. A bit of history along with a few drops of great beer.